Come join us for a magical evening in the woods. 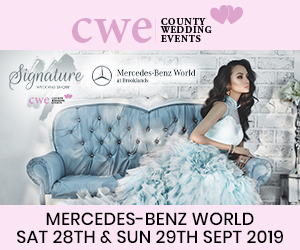 There will be various suppliers on hand to assist with any of your plans, such as catering, photographers, furniture, table wear, entertainment & lighting. Axe throwing & archery for those looking for stag & hen party ideas and also at our weddings. Enjoy a drink from the bar over by the fire circle, & listen to the guitarist. Hog roast available between 4pm-6pm. We have invited a select number of high quality wedding suppliers to this stunning venue in order to help to inspire you for your special day. Come and join us for a day of wedding ideas embracing the English Country Garden theme, whilst meeting some of the regions' top wedding suppliers. The Dorset Wedding Festival is a laid back festival-style wedding fair with marquees, local wedding suppliers, live music, bars, street food, alpacas...all of which you can hire for your wedding. Come and enjoy your wedding planning! The church is in the garden of the venue! St.Mary's Church, Hale and Hale Park Weddings present a unique experience for couples looking to get married, as they showcase this beautiful venue and church at a Grand Wedding Fair from 11-3pm on Sunday 28 April. This is a chance to visit this beautiful house (SP6 2RF) and meet many local wedding suppliers as the house opens its doors as a wedding reception venue. There is a unique partnership with St Mary's Church, Hale which is in the garden of the house and church tours are also available on the day at 12.30pm and 2pm. Associate Priest Rev Nicky Davies said: "I am excited about our Wedding Fair which will not only showcase Hale Park but also our beautiful church which is set in the grounds of the house. Couples can come and experience this wonderful place which could be the ideal place for their big day!" Sloan Hickman, manager of Hale Park Weddings, is as excited as the Rev.Nicky. He believes that the gorgeous setting of St.Mary's Hale in the garden of the venue and a few minutes picturesque walk away from the Drawing Rooms and the Wedding breakfast, present a unique opportunity for a truly memorable day. Visit the website for details www.haleparkweddings.co.uk and FREE tickets are available from Eventbrite: http://BIT.LY/2QzWgrv. Please register to help us with numbers attending. Join us for an afternoon of wedding planning at the Green House Hotel! Enjoy chatting to our preferred suppliers for lots of inspiring wedding ideas, showcasing everything you need for your perfect wedding day. Join our in house wedding team as they open our unique wedding venue for the evening of Wednesday 15th May 2019. The evening includes a welcome drink and canapés followed by free time to explore our fully dressed venue with your fiancé, friends and family. Our wedding team will be on hand throughout for any questions you have and to provide you with plenty of wedding planning information, special packages and a goody bag to take home! We're delighted to welcome the stunning MacDonald Elmers Court Hotel & Resort back to our Wedding Fayres Portfolio in the Summer 2019. Join us for our Wedding Fayre at The St Leonards Hotel on Sunday 19th May 2019 from 11am till 3pm for the chance to see our function suite in a different light. The St Leonards Hotel is a traditional country hotel on the edge of the New Forest. Within reaching distance of our local busy towns such as Bournemouth and Poole, yet engulfed by nature in the New Forest and boasting 42 sophisticated refurbished rooms all with private facilities, the hotel is an idyllic location for your dream wedding. Meet local suppliers with everything you need to create your truly perfect wedding day - it is a fantastic opportunity to kick start your wedding plans as well as an opportunity to look around our beautiful wedding venue and grounds. Free parking & refreshments available all day, and a competition and prizes on the day - our wedding fair will not be one to miss. Find out more about our free wedding offer on the day from 11am onwards. We believe your wedding should be as individual as you are. At Careys Manor we hold only one wedding a day so you and your guests can receive our undivided attention and feel like the most important people in the world that day. Our friendly team of wedding experts will be on hand to ensure you'll have everything you need to enjoy every moment of your special day, safe in the knowledge that absolutely everything is taken care of. Join us at the stunning New Place for our Summer Wedding Fayre! As you arrive through the ornate wrought-iron gates, New Place never fails to impress. This grade I listed house is a true masterpiece of brickwork, a home that combines Tudor and Elizabethan eccentricities with subtle, modern touches. The home was commissioned as a wedding gift, designed and built by the famous British architect, Sir Edwin Lutyens. He merged the interior of an existing 17th century mansion with his own signature style; the results are nothing short of spectacular. To this day, the mansion remains a place of breath-taking beauty and historic grandeur, but also warmth and personality. Having also undergone subtle yet fitting redecoration in 2017, New Place has fresh look internally look with neutral tones complimenting the striking interior features whilst adding an elegant and classy feel throughout both the Manor House & Arden Suite. This established wedding venue see’s many couples choosing it for their wedding every year and whether it’s your reception, your ceremony, or both, the expert team will make sure that your day is as individual, exciting and memorable as you have always dreamed. See up to 55 top class wedding suppliers, situated over two floors and in the Manor House & Arden Suite, who will all help you to choose everything you need to make your wedding perfect. We return on Sunday 23rd June 2019 to the fantastic Langstone Quays Resort, Hayling Island, following its fantastic refurbishment program. Under new ownership the venue has received a multi-million pound renovation investment, transforming many areas both internally and externally. We're excited to 'launch' it's brand new look and show off it's stunning Spinnaker Suite along with other areas and suites! The Spinnaker Suite is situated on the first floor and overlooks the harbour – beautifully unique it certainly has the WOW factor, whilst The Langstone Suite, on the ground floor, is a stylish and modern suite. With the perfect surroundings for any wedding there are also 148 Executive and Luxury bedrooms, 10 state-of-the-art conference rooms and a fully-equipped Health and Fitness Centre. This idyllic location makes the hotel an ideal retreat and is yet only a few minutes from the M27 and easily accessed from Fareham, Havant and Chichester. Please check before travelling to any of our wedding fayres, that the event has not been cancelled or postponed for any reason beyond our control. Join us to see just how beautiful your wedding day will be at the Green House. Drop in anytime from 12-4pm or book an appointment to meet our wedding planners and we will show you around our Grade II Victorian Villa, which will be dressed for a wedding by all of our suppliers. Book your appointment now to discuss your plans for your big day over nibbles & bubbles and receive Exclusive Offers on the day, we are looking forward to seeing you! We return to this fantastic Wedding Venue, one of the many Hand Picked Hotels, with our second Wedding Fayre of the year here, taking place on Sunday 1st September 2019. Audleys Wood Hotel in Basingstoke, Hampshire, was a much loved home for much of its life and it is perhaps this episode in its history that gives the mansion such warmth and comfort to this day. Built in the 1880s as a private home for Thomas Pain, it subsequently enjoyed a rich and colourful history, with owners and visitors including the rich and famous. Today it is a 72 bedroom, 4 star hotel surrounded by woodlands and seven acres of private grounds. A perfect venue for Weddings, engagements and many other special occasions too – The beautiful ‘Garden Pavilion’ is a self contained wedding venue and as every wedding or civil partnership is uniquely special, so their wedding co-ordinator will help take care of arrangements and make the whole process seamless. Just 18 miles from Reading and 32 miles from Southampton, with easy access from the M3. The Wedding Boot Fair offers a modern element to the traditional Wedding Fayre. At the event you can visit in excess of 50 stalls with local Wedding Suppliers showing a variety of new on trend ideas. Brides offering their pre-loved wedding items for sale, simply classic and DIY tips galore. A Pamper Corner, with Hair, Makeup and Beauty treatments to beautify all the Bridal Party. For brides & grooms to be, it's the opportunity to create your dream wedding no matter what your style or budget is. Inspiration and ideas can be found from the hand selected wedding suppliers offering their services to complete your day. For the thrifty couple, you can bargain hunt thousands of pre-loved wedding items from previous Brides and their special day. You will also enjoy live entertainment & fashion shows and more! ! As it's indoors (and more outside if the weather permits) you can stay warm and dry whilst browsing around. Food and refreshments available on the day. Open to buyers from 11:00am untill 3:00pm with VIP entry at 10:30am. If you are a Wedding Business you can be sure of a lovely, busy event with a buzzing yet relaxed atmosphere. We like to encourage a variety of businesses both small and large. This gives visitors a more exciting and valuable experience. The Wedding Boot Fair gives you the opportunity to reach Brides2B not only looking for bargains but also inspiration and services to complete their special day. We are delighted to return to the stunning Rhinefield House Hotel in September 2019 for our Autumn Wedding Fayre. Located deep within the Forest, with beautiful surroundings and a blend of Tudor and Gothic architecture, Rhinefield is the most perfect country hotel and a fairy tale wedding venue. With so many suites and facilities, they can cater for every wedding imaginable; from big extravagance in the Grand Hall, Minstrels Gallery & the Kings Hall, or Hurst Castle Suite – to low key elegance of the Keepers Room and not forgetting the ceremonies at the beautiful outdoor Forest Garden Doric Temple. With 50 bedrooms including three feature suites, an outdoor pool and a health suite, 2 AA Rosette fine dining Armada restaurant, The Grill Restaurant and views of the ornamental ponds and grounds, Rhinefield House Hotel is a true jewel in the forest. A fantastic opportunity to take a look around this traditional barn dating back to the 1410AD. This venue has many original features and provides a stunning back drop for those all important photos. 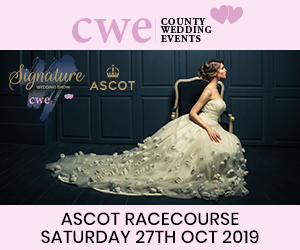 Join us on Sunday 29th September 2019 and view it’s many suites and facilities whilst seeing over 40 top Hampshire Wedding Businesses showcasing throughout. Join us for our Autumn Wedding Fair between 11am and 3pm on Sunday 6th October 2019! Joined by over 50 local wedding suppliers it is a fantastic opportunity to kick start your wedding plans as well as an opportunity to look around our beautiful wedding venue and grounds. This event is an amazing opportunity for past brides to sell their preloved, used & unused wedding items & to allow new brides the chance to find what they so desire on their special day. Set across 3 large rooms at Hamworthy Club, Canford Magna, we will have Dean John to keep us entertained with music throughout the event. We also have over 30 preloved tables for hire - so come and have a look for bargains, inspiration & little sought after essentials with our past brides. FREE Entry for all brides on the day to shop, browse & ask the experts. Ideally situated in the heart of Hampshire this Edwardian Manor House offers a magical setting for your wedding day. Set amidst 12 acres of beautifully landscaped grounds and with over 220 complimentary car parking spaces, the Hotel is within easy reach of many local attractions and a matter of minutes from M3 Junction 14 and M27 Junction 4; Just 4 miles from the Southampton Docks Cruise Terminal, Southampton International Airport and Parkway train station. Chilworth Manor is ideal for all types of weddings;2 main reception suites, and the GK Chesterton Suite is licensed for Ceremonies and Civil Marriages. On a warm day, sip champagne with your close friends and family on the terrace, overlooking the Conservation Area beyond, and in the evening retire to one of their 95 en-suite bedrooms. A day of creative surprises. Four hours of festival magic, including hand-picked suppliers, food and the best in trend conscious style. The vibe of the show is stylish, fun and interactive, with exhibitors showcasing what's hot in the wedding industry right now. Come to meet specialists who supply vintage, alternative, festival and unique services. It's set to be a day full of unique and quirky inspiration with over 40 unique suppliers showcasing their products and services. There will be a fashion show in the afternoon and there's an artisan tearoom to enjoy 'a proper brew' whilst taking in live entertainment. Bring your bride tribe or your partner to meet some of the best creative wedding suppliers in the south. Forget those dull, cooperate events, this is not your average wedding fair. Drop in for a workshop created by our wedding specialists. Come along to book suppliers or for a spot of wedding inspiration. VIP brides get exclusive goody bags. Having also undergone subtle yet fitting redecoration in 2017, New Place has a ‘new’ fresh look internally look with neutral tones complimenting the striking interior features whilst adding an elegant and classy feel throughout both the Manor House & Arden Suite. This established wedding venue see’s many couples choosing it for their wedding every year and whether it’s your reception, your ceremony, or both, the expert team will make sure that your day is as individual, exciting and memorable as you have always dreamed.